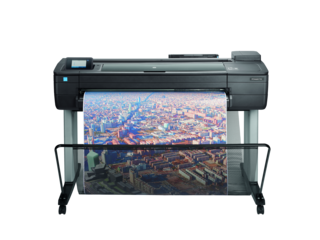 When it’s time to dazzle a client or turn out a design project, you need a printer capable of creating crystal-clear, dynamic images. 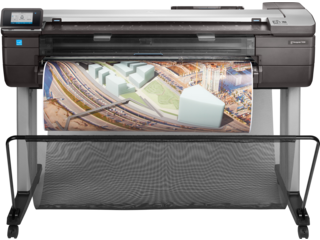 With an HP wide format printer that’s engineered for precision and accessibility, you can optimize your output while increasing the productivity of your business. You can also count on high quality and dependability with every new project. 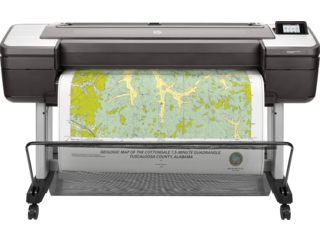 Geologists, graphic artists, designers - any business or professional - can find the perfect solution with an HP DesignJet wide format printer. 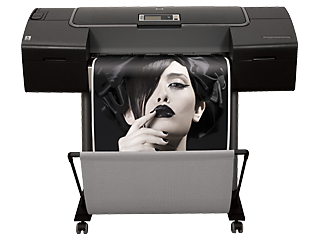 Setting a new standard for office printers, the DesignJet T1530 was crafted to make any project stand out. Watch as your designs take on a new life with features such as precision line-drawing for incredible detail, high-resolution graphics capabilities with Adobe PostScript®, and a vast color gamut to add an exceptional vividness to your color prints. Experience a whole new level of efficiency with features that aim to save you time and improve your workflow. The T-1530 can be loaded with two 300-foot rolls at once, making it easier than ever to switch between different formats quickly. It’s perfect for large, multi-format projects, and even the most complex file types will print easily and quickly. 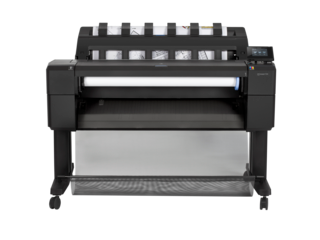 For designers and offices that need to churn out CAD and large-scale projects, detailed posters, maps, or other large prints, the DesignJet T520 is a compact, affordable, and efficient solution. 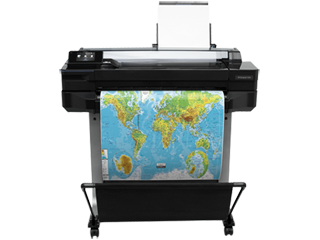 In our line of HP large format printers, the T520 is small enough to fit into any office. 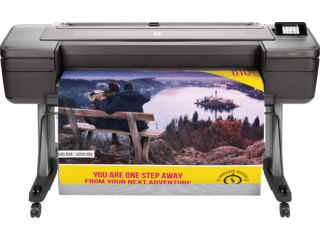 With this solution, you can enjoy easy wireless printing from a computer or mobile device while producing prints up to 2400 dpi for crisp, outstanding images every time. 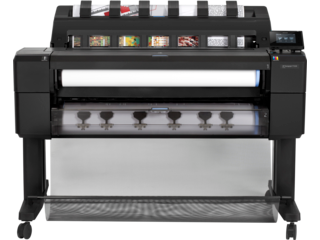 The DesignJet T730 is an HP plotter printer that blurs the line between size and capability. At only 36 inches, you can save precious office space while retaining productivity and print quality. With a rapid print-speed, eco-friendly features, and an intuitive interface, this printer is designed to make your workload easier than ever. To get the most out of your DesignJet printer and enjoy the best-realized versions of your work, large format roll paper is designed to provide the best output from your printer. You can choose from a huge selection of paper, including HP Universal Bond Paper enhanced with ColorPRO technology for the highest degree of excellence, HP Coated Paper perfect for crisp lines to make an architectural rendering pop, and Universal Instant-Dry Gloss Photo Paper for mesmerizing photographic prints. 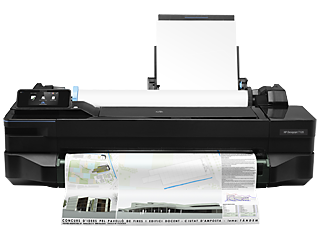 The HP PageWide series of business printers offer a cost-effective solution for creating high-quality prints. 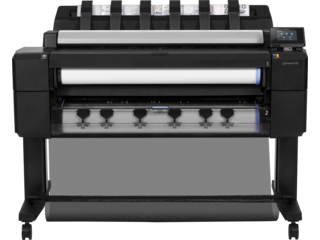 You’ll enjoy a printing cost that’s up to 40% lower per page than color laser printers without having to sacrifice quality, while achieving printing speeds of up to 70 ppm in black and white or color. That way, you can stay on-track and under-budget. You also have the option to print from the interactive touch-screen, a mobile device, computer, or USB-drive, allowing you to take charge of your production schedule and customize your workflow. 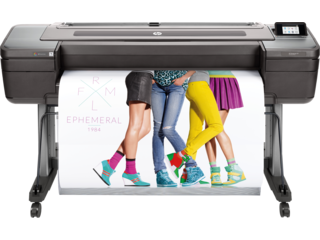 For a wide format printer with the latest innovations in speed, print quality, and reliability, HP® can provide the perfect solution in one of our DesignJet printers.